Cebu is a place that has always held many good memories for me. Growing up, I spent many a summer vacation with my grandparents, aunts and uncles who lived there. It was a carefree existence spent watching movies, reading, swimming, playing basketball with the neighbors, and, of course, eating. The whole family loved to eat. Trips to the beach would never be without the famous Cebu lechon (roast pig), as well as roasted fish, kinilaw (ceviche), barbecue and a whole host of other typical beach food. When the family decided to eat out, arguments would ensue, as everyone had his or her favorite restaurant. My choice then was always Ding How Dimsum House. Up to today, if I had only one day to spend in Cebu, and I were given choice as to where I would have one meal, there would be no contest. Ding How would win every time. Established in 1969 by the Uytengsu Family, Ding How has stood the test of time. 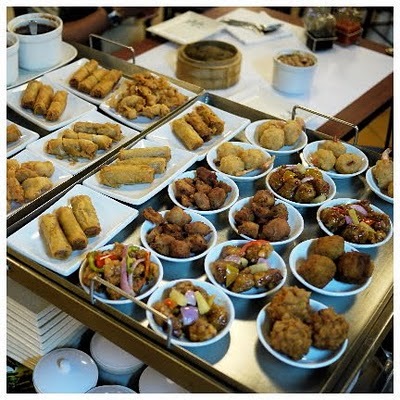 It started with one location and it has since metamorphosed into the Harbour City Group, composed of two Harbour City Restaurants and smaller Dimsum Break outlets that offer a smaller menu and delivery service. I still remember the first time I went to Ding How. I must have been five years old. My mom took me to the original branch at the intersection of Colon and Juan Luna Streets. It was my first time to witness a restaurant that had (and still has) uniformed waitresses wearing face masks who push around carts with different little plates of food. My mom called one of the ladies and ordered a plate of fried lumpia (spring rolls) for me. I watched with fascination as the lady used a pair of scissors to cut the spring rolls into bite-sized pieces. She then pulled out a plastic squeeze bottle and added a generous amount of sweet and sour sauce. Then she served the dish to me with a fork. I used to be a very finicky eater (yes, Chinkee, it’s true). My parents would have a very hard time feeding me, as it would literally take hours and major drama before I would finish a meal. So here’s my mom, once again forcing me to eat. I take a bite and…I was hooked. Thus began a lifelong love for Ding How, dim sum and food in general. You could say that it was my first food-related defining moment. Fast forward to 2010. I am in Cebu to attend a family wedding at the Shangrila Mactan Resort. I make sure that I find the time to go to Harbour City, the latest incarnation of Ding How. The place has a more modern feel to it, but in essence it’s still the Ding How that I remember. The menu has remained the same. 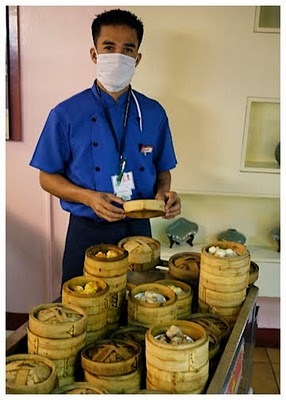 The old favorites, like asado siopao (char siu bao), hakao (steamed shrimp dumplings) and other types of typical dim sum fare, are ever present and cost P50 per serving. Very reasonable, don’t you think? My favorites are what I call the holy trinity. Steamed fried rice, cucumber salad and fried spring rolls. These are the three dishes that I have ordered during the countless times that I have eaten at this restaurant through the years. Steamed fried rice is very similar to the Fujian fried rice that is now available in many Chinese restaurants. Its wet and saucy consistency makes it a meal on its own. Ding How’s version is unique in the sense that the rice is fried, then placed in individual ceramic bowls and steamed for a short amount of time. After steaming, the rice is topped with a rich meaty sauce. This version of fried rice is not to be missed. Very tasty indeed. The cucumber salad is a simple dish of pickled, sliced finger-length cucumbers. I feel that this dish is quite significant to me, as it brought out my love for all types of pickles. To this day, when we go to markets or bazaars, my wife always keeps me away from the booths that sell different types of pickles and atchara (pickled vegetables), as our refrigerator is full of bottles of pickles that have been amassed during previous visits. An order of spring rolls now look exactly like how it was always served. I love the sweet and sour sauce that comes with it. Its syrupy consistency and tangy flavor, with hints of red vinegar and, possibly, pineapple juice (?) is something that has and will always be one of my all time favorites. I take a crunchy, sticky bite and immediately I am awash with memories: having a lumpia eating contest with my cousins… reading the last letter that my Grandfather wrote while he was on a trip to Manila and was suddenly taken ill and had to be hospitalized. Sadly, he never recovered. I happened to be in Cebu at that time and he specifically singled me out in the letter by reminding me, jokingly, not to eat to at Ding How all the time because the Uytengsus might adopt me…. Taking my own wife and, subsequently, my kids to Ding How for the first time. I cannot believe how a single restaurant can evoke all these special memories. Everyone I know always asks me about whether I would recommend Ding How to them when they visit Cebu. And to be honest, I say yes. Then they ask, “Why, is it that good?” I say it’s different. Ding How has a distinct flavor that is all its own. Eat in any other dim sum place around the world and you will not find anything quite like it. Although I must admit that my opinions are a little biased given the personal history involved. 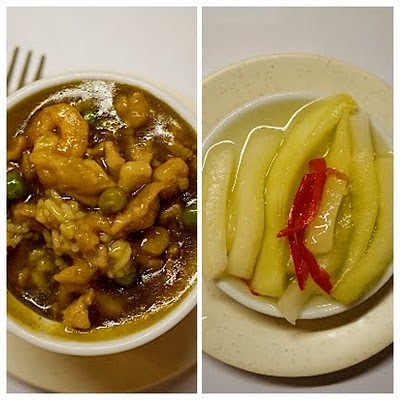 It is still a place worth trying out, if only to get a unique taste of Chinese food, Cebu style, in a restaurant that has been around for the past forty one years. 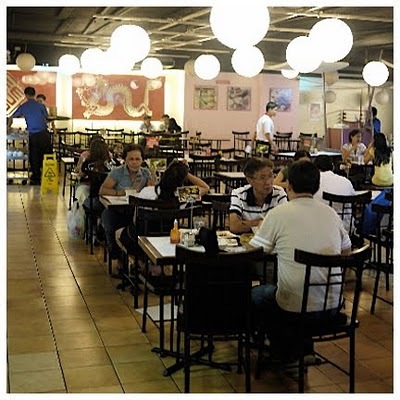 Harbour City Dim Sum House has branches at the Ayala Center Cebu or at SM Cebu. Dimsum break has various Branches around the city. if there's anything better than dim sum, it's fried dim sum. "I used to be a very finicky eater (yes, Chinkee, it's true)." Sorry Sanj... I read that line above and then I get a mental picture of you eating those live octopus tentacles in Korea... It just doesn't add up. The "finicky eater" must have been your evil twin brother, Sanjohn. Chinkee, you got me there. I blame the shift in eating habits entirely on the spring rolls. really? that good? even when you compare it to the dime sum in hong kong or china? I would have brought you and your sister but you guys were busy getting ready for the wedding. (3 hrs for hair and makeup) If I had waited for you this post would not be in existence. The dim sum here is different. I have not tried anything like it be it in China, Hong Kong, Taipei or anywhere else. Although I must admit being a little biased as it is something I grew up with. Thanks for your support and keep reading! I used to do the same thing when I had family members come over from Cebu. But as you said, its still better to eat it fresh. Besides, the novelty wears off if you have it all the time Right? Also, after rechecking again, the correct spelling is really Ding How. Very well-written, a bit poignant too! I must say it brought me back to those days when I used to have surprise treats with the in-laws during yearly visits to Cebu. This article should be part of a whole chronicle I would love to collect!-- Lorna V.
I remember Ding How during the early 80s. My family is from Cebu and it was always an event every time we ate there with my first cousins and their parents. When I was a child, I associated Cebu with Lechon and Ding How. I still cannot forget the steamed fried rice. A relative of mine was able to get the recipe which she claimed came from ding how. Now after reading this post, I have to find it and cook it once again. My mom also makes a mean steamed fried rice at home. She also claims that it comes from Ding How. Its funny how food can act as a link towards people. Thanks for your support and please continue to visit and comment. When some cebu friends mentioned steamed fried rice, I was completely baffled on the possibility. How can fried rice be steamed??? Obviously, I took the name quite literally. But it was fried rice with really yummy toppings. I find it amazing how dimsum can be so popular in mainstream cebu. I ate in a fastfood dimsum place that served steamed fried rice and all other dimsum. while in manila all we have are the siomai kiosks with horrible tasting siomai. Blech. Along with the pork steamed rice, my favorites were the spring rolls, steamed spare ribs, and coco cream for dessert. 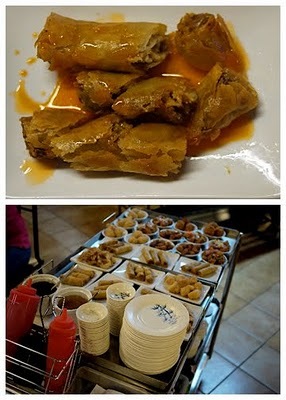 I think this particular dimsum house might be a little difficult to find in HK as its in Cebu.